Get your tiny violins ready: Today I'm going to tell you a blogging tale of woe. Photoshop has been my go-to photo editing software for years. Living and breathing those Adobe commands, yo. But a couple of weeks ago it just... died. For some reason Photoshop won't run anymore, and because I'm a disorganized jerk I can't remember where I put the installation discs. Perhaps it suffered exhaustion from all resizing all those extreme moisturizer close-ups? RIP, Photoshop. I'm still looking for those install discs, so in the meantime I've been using a few free bits of editing software for my blog photos. I figured I'd share 'em with you, since I'm sure there are plenty of you who also need to edit your blog photos and don't have the cash for Photoshop. 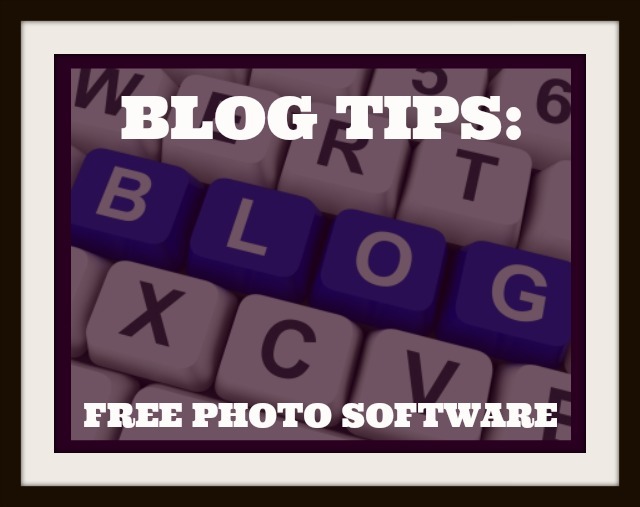 PicMonkey is the photo editor I hear mentioned most often in blogging Twitter chats, and with good reason - it's web-based (so you can upload right from your browser, no special software downloads needed) and VERY beginner-friendly. Most of the functions involve easy-to-use sliders and/or drag-and-drop fields. If you are completely clueless about photo editing, start here. You'll likely find it very easy. While PicMonkey isn't nearly as featured as Photoshop, I would say that the free version contains about 75% of the features I would use regularly for blogging purposes, and the paid "Royale" version has about 90% of those features. "Royale" also has a larger selection of things like backgrounds, fonts, etc. It's also cheap - $4.99 per month or $33 per year. If you're not sure, you can get a free day of Royale by signing up through my referral link, and of course you can access the free version at any time without an account. 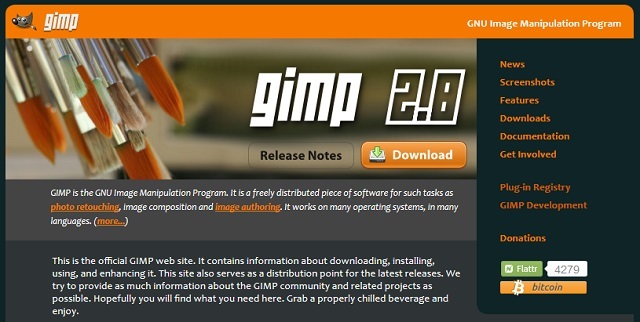 GiMP is a program that you download to your computer, and is probably the most featured free editor out there. I was first introduced to this as an alternative to Photoshop for Linux, and used the hell out of it when I was traveling around a few years ago with my crappy little Linux netbook. The downside of GiMP having so many features is that it's sort of difficult to figure out without putting in a little time to look at tutorials - plus if you're used to using Photoshop some of the commands/menus are not intuitive at all. Still, if you want the most bang for your zero bucks, this is probably what you should try. 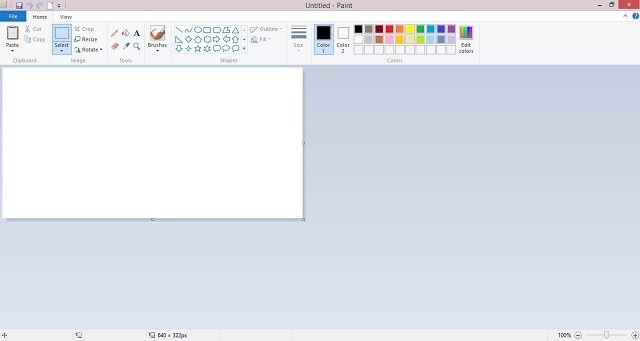 Suggesting MS Paint as editing software might sound ridiculous to seasoned photo editors, but hear me out - the newer versions of Paint are a bit more sophisticated than they used to be. Plus if you have Windows, you already have it on your computer. While Paint won't help you do things like color-correct and retouch photos, it can be used in a pinch to do things like resize, add text, make collages etc. Certainly better than nothing. Have you tried any of this software? What do you usually use to edit photos for your blog? I've been using GiMP since forever and actually prefer it over Photoshop, mostly because I'm more used to it and would rather not go through the whole learning process again (lazy me). Sometimes I find that photo editing apps work just as well and use those to edit my photos by uploading them from my camera onto Dropbox, then saving it onto my phone through the Dropbox app. I'm not sure I feel comfortable recommending that people download a torrent of Photoshop, considering that that's illegal here. :) Not to mention the risk of viruses, malware etc. I will certainly check out Pixlr though, thanks for the suggestion! Oh no! Sorry to hear you lost your installation discs :( hopefully you find them soon! I too use Picmonkey, and I love it! It's just so easy to use. GiMP sounds good as well! Haven't tried it for the same reason you mentioned, it just sounds a little more complicated. Haha thanks! My level of frustration at losing the Photoshop discs is really more along the line of mild annoyance, because those other programs really do most of what I need them to... but I feel like a crazy person for not being able to remember where I put it! I normally use photoscape for most of my photos and simple editing. I love blogging tips like this =) I had a period there where I also didn't have access to Photoshop and I thought I would die. GIMP was what I used, and it wasn't bad but man some of the brushes/effects are so useful...I ended up getting PS again within a month haha. I don't do much photo editing so I use ribbet which is web-based, free (the deluxe version is free), and idiot-proof. It still feels like I spend most of my posting prep-time working on photos. this is super helpful! I use a mac so there are some cool apps that I get which work beautifully but I love these as a cheaper alternative! I will check that one out too, thanks for the suggestion! I'm not sure if it's because I used it first or if it's because it's actually better, but I find Photoshop much easier to dive right into. I mean there are certain things you would need to read a tutorial to know how to do, but basic the basic functions were much easier for me to just guess than GIMP. I will check out Ribbet, never heard of it! Photos definitely use up a lot of my blogging time... first setting them up, then taking them, then sorting through them to choose the few I'll actually use, then the editing... blah. I sort of enjoy it though. I don't have a Mac so I don't know about Mac-specific options, but I love the web-based photo editors (like PicMonkey) because you can use it from almost any computer! I think GIMP will work with Mac, if it sounds interesting to you. Every time I think I've got my method down to a 'science' something catches my eye and I decide to change things up. Thank you so much for these tips! I really needed them. I don't have photo shop yet and I have Corel Paint Shop and it is hard for me as a beginner to figure out. I am going to give that pic monkey a try. My blog is new, like 2 1/2 months new, so I am still learning and trying to get better photos. I just got in a photo tent this week that is helping out some also, now your tips, I can only get better from here.....LOL! I love picmonkey - I use it all the time. 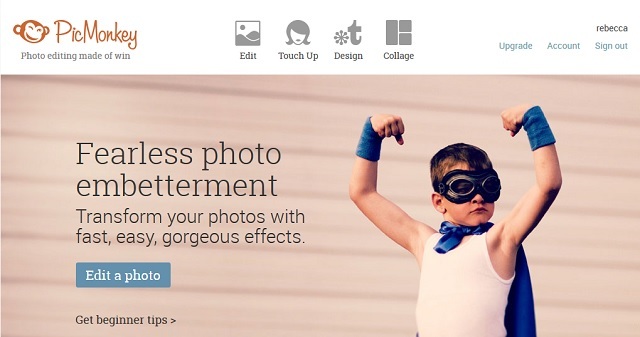 Fotor is another handy (and free) editing website too. If I can't use PS, I use Meitu XiuXiu. It's in Chinese, but it's pretty easy to understand and has heaps of awesome features. Will check Fotor out, thanks for the suggestion! Is that a problem in Photoshop?! Yikes, I don't even know all the things I don't know about it! If you google the name of the font you can probably find more info about it. And I just realized how incredibly vague my first response about this was, sorry about that... haha. Ooh, thank you! I've only recently started blogging again, after a hiatus of a couple of years, and my current computer doesn't have photoshop, just a basic editing program that doesn't have many features at all. I'd been wondering what to use, or if I'd have to bite the bullet and buy photoshop again. I'll give PicMonkey a go!